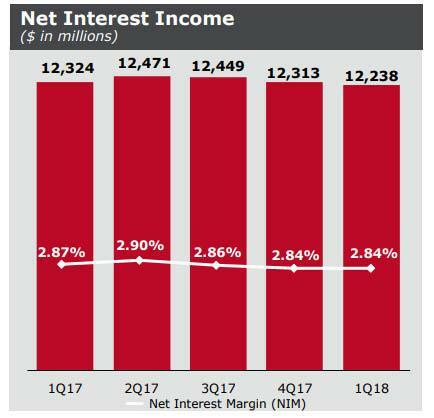 When we reported Wells Fargo's Q4 earnings back in January, we drew readers' attention to one specific line of business, the one we dubbed the bank's "bread and butter", namely mortgage lending, and which as we then reported was "the biggest alarm" because "as a result of rising rates, Wells' residential mortgage applications and pipelines both tumbled, specifically in Q4 Wells' mortgage applications plunged by $10bn from the prior quarter, or 16% Y/Y, to just $63bn, while the mortgage origination pipeline dropped to just $23 billion", and just shy of the post-crisis lows recorded in late 2013. Fast forward one quarter when what was already a grim situation for Warren Buffett's favorite bank, has gotten as bad as it has been since the financial crisis for America's largest mortgage lender, because buried deep in its presentation accompanying otherwise unremarkable Q1 results (modest EPS and revenue beats), Wells just reported that its 'bread and butter' is virtually gone, and in Q1 2018 the amount in the all-important Wells Fargo Mortgage Application pipeline failed to rebound, and remained at $24 billion, the lowest level since the financial crisis. Yet while the mortgage pipeline has not been worse since in a decade despite the so-called recovery, at least it has bottomed. 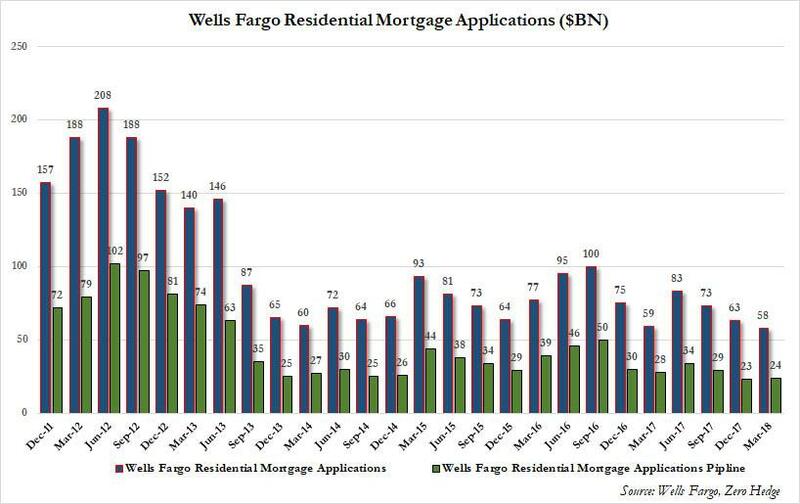 What was more troubling is that it was Wells' actual mortgage applications, a forward-looking indicator on the state of the broader housing market and how it is impacted by rising rates, that was even more dire, slumping from $63BN in Q4 to $58BN in Q1, down 2% Y/Y and the the lowest since the financial crisis (incidentally, a topic we covered just two days ago in "Mortgage Refis Tumble To Lowest Since The Financial Crisis, Leaving Banks Scrambling"). 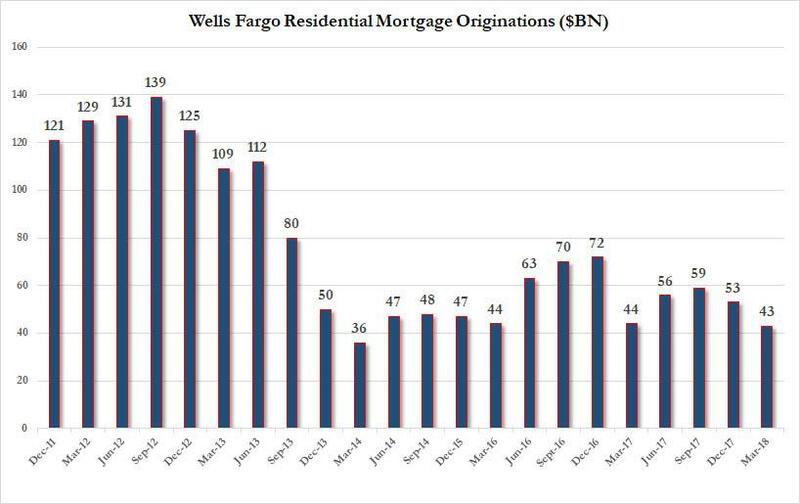 Meanwhile, Wells' mortgage originations number, which usually trails the pipeline by 3-4 quarters, was nearly as bad, plunging $10BN sequentially from $53 billion to just $43 billion, the second lowest number since the financial crisis. Since this number lags the mortgage applications, we expect it to continue posting fresh post-crisis lows in the coming quarter especially if rates continue to rise. 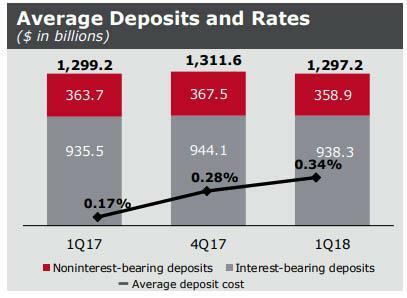 There was another problem facing Buffett's favorite bank: while NIM fails to increase, deposits costs are rising fast, and in Q1, the bank was charged an average deposit cost of 0.34% on $938MM in interest-bearing deposits, exactly double what its deposit costs were a year ago. 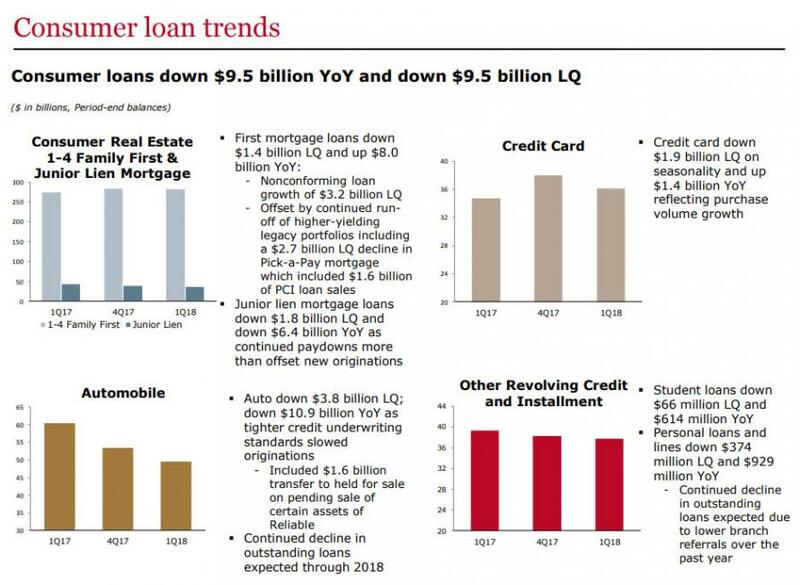 And finally, there was the chart showing the bank's consumer loan trends: these reveal that the troubling broad decline in credit demand continues, as consumer loans were down a total of $9.5BN sequentially across all product groups, far more than the $1.7BN decline last quarter. What these numbers reveal, is that the average US consumer can not afford to take out mortgages at a time when rates rise by as little as 1% or so from all time lows. It also means that if the Fed is truly intent in engineering a parallel shift in the curve of 2-3%, the US can kiss its domestic housing market goodbye.